Incubation is the process by which the embryo in a fertile egg develops and the most important factor in the embryo’s development is a constant temperature provided by the parents. The parents will carefully sit over the eggs and keep them warm with their body heat using a patch of exposed skin called a brood patch. Since the penguin parents’ food source comes from the sea, wild penguins will not eat while they are sitting on the eggs. During this incubation, one parent is out to sea eating their fill and must return so the incubating mate can go to sea to feed. The amount of time the penguin is out to sea foraging for food depends on the species. The most extreme example is the Emperor penguin, once the female lays the egg she returns to the sea to feed and it is the males responsibility to incubate the egg for the entire 2 month incubation period. The female returns in time for the chick to hatch so she can start feeding it. 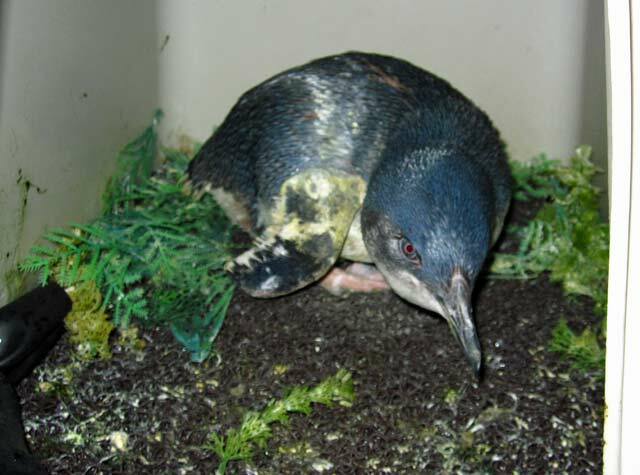 Most of the other penguin species split the responsibility of incubating the eggs more evenly. 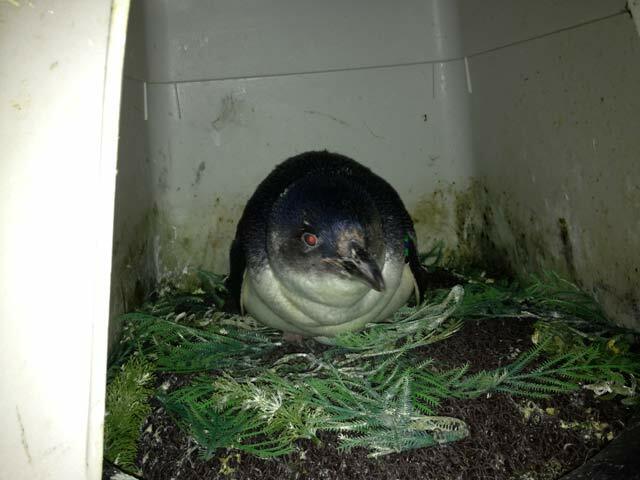 Little blue penguins usually switch sitting on the eggs every few days. Here is a photo of Goanna, in her nest incubating her egg. As you can see she has been sitting on the egg for a few days and has gotten a little dirty. Luckily her mate Lion switched with her shortly after this picture was taken and she was able to go in the tub for a swim to clean up. Hopefully when it is her turn to incubate the eggs again she won’t get so dirty. Goanna goes for a swim! 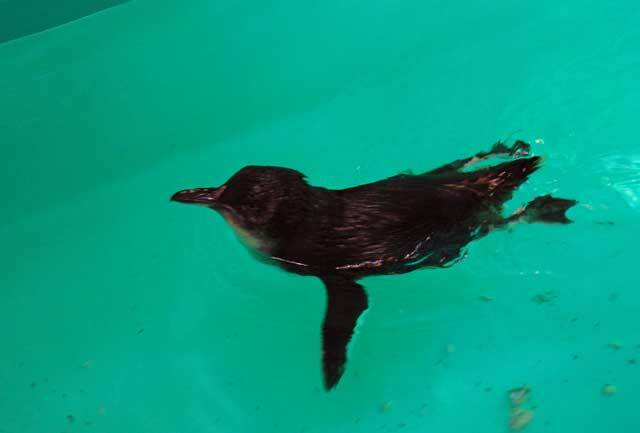 While the babies remain behind the scenes, come see the little blue penguins in their usual spot in the exhibit! Choose a time you wish to visit and buy a timed ticket online. Print it out at home (no service charge!) and you'll be well on your way to seeing all 80+ birds at the New England Aquarium!